India is a land of vast proportions. It is easy for one traveling to India to fall for the familiar while looking for accommodation. 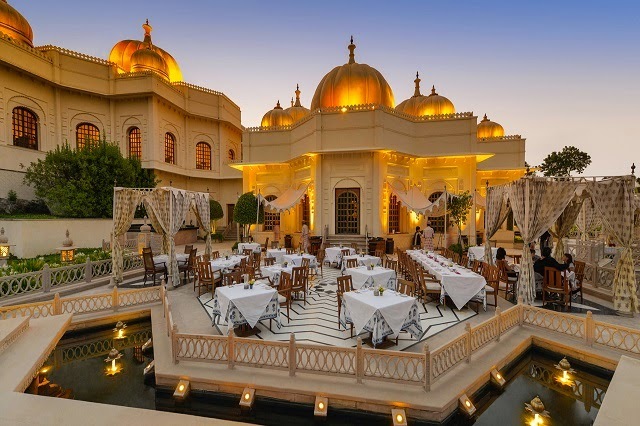 There are several categories of luxury hotels in India but you may be surprised to know that the rate of some luxury hotels are as high as 500 percent that the lower end luxury hotels. Why is that you ask? Retreat in the lower end luxury hotels in India apparently look safe from the set western standard but many fall short on the promises especially service standards and facilities. However if you are looking for a hassle free and a luxury hotel stay in India at par with the bests in the world, we give you the 25 best luxury hotels in India to choose from. Like a feather on the cap, the luxurious Oberoi Udaivilas stands proud, reflecting majesty and grandeur at its very best. One of the tourist attractions in the city of Udaipur, the Oberoi Udaivilas hotel is situated at the banks of the lake Pichola. The premium hotel is built on a sprawling expanse of 50 acres which apart from the intricate hotel structure comprises a twenty acre wildlife sanctuary. Facing the exotic Arabian sea, the Oberoi hotel in Mumbai has created a new definition of luxury for the business class. From the comfort in its world-class presidential suites to dinning in an enchanting ocean ambience at the front, the Oberoi is a jewel on the exclusive marine drive. The star attraction in the design of the hotel is the atrium lobby, which has large windows to fill up the interiors. One of the most romantic in the world, the Taj Lake Palace in Udaipur is a famed luxury hotel, surrounded by white marble walls. With a foundation span of around 4 acres, Lake Palace is located on the banks of Pichola river. 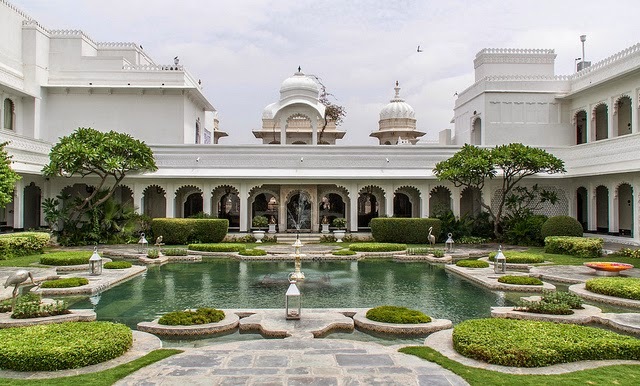 The design of this enormous Lake Palace hotel consists of a series of courtyards which are in perfect alignment with the beautiful gardens and fountains on the inside. 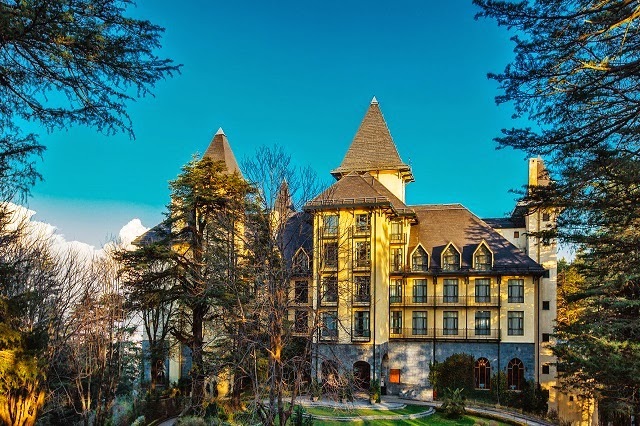 Amongst the favorite retreat of Britishers, the design of this fascinating resort in Shimla brings back the aura of its younger days. The Wildflower Hall resort is situated at an elevation of around 8000 feet in the Himalayas and is very popular for its rejuvenating activities like cycling, yoga and spa within the nature. In order to experience the beautiful ambience of the Himalayan valleys, the setting of this luxury hotel has been kept aloof from the main town. All this makes Wildflower Hall one of the best hotels in the whole of Shimla. 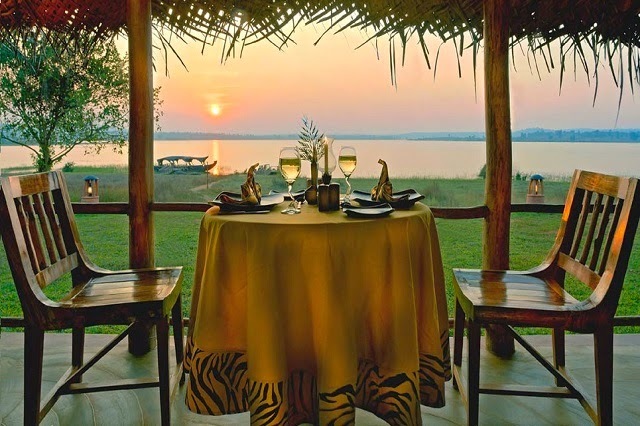 One of the premium accommodation options in the state of Karnataka, the Orange County Resorts, Kabini reflects the true wild spirit of the Kabini region . The vacation here is subjected to a rustic-style holiday which is inspired by the Hadis or tribal villages. Despite being built as a rough enclosure, the resort offers world-class facilities with a special dedication to Ayurveda and other rejuvenation therapies. 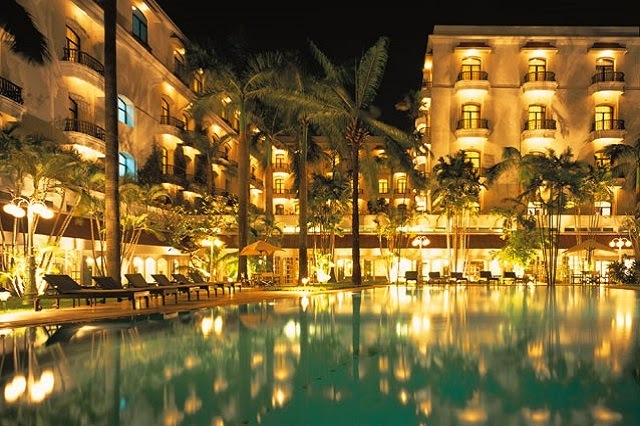 The world renowned Oberoi group has established its chain of hotels in the various parts of India. 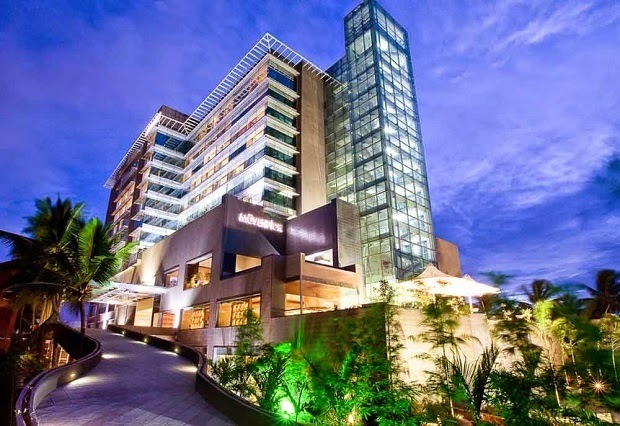 Gurgaon, the business hub of Delhi is one of the latest destinations of the Oberoi group. 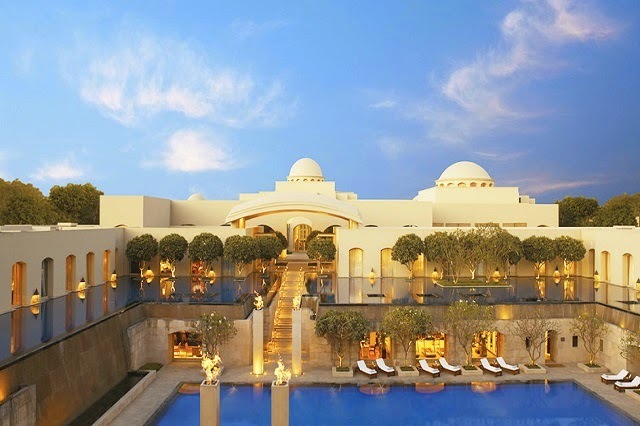 Being a part of a giant in the hotel industry, the Oberoi in Gurgaon was awarded with the World’s leading luxury hotel award in the year 2011 at the World Travel Awards. Nestled in a lush 300 acre plantation in the Coorg district of Karnataka, the Orange County Resorts bring back a legendary bygone era. Besides the expression of nature in its design, the county resorts in Coorg offer an array of world-class facilities. A romantic coffee lounge followed by an Ayurvedic spa within nature’s lap makes these holiday resorts a paradise in Karnataka. 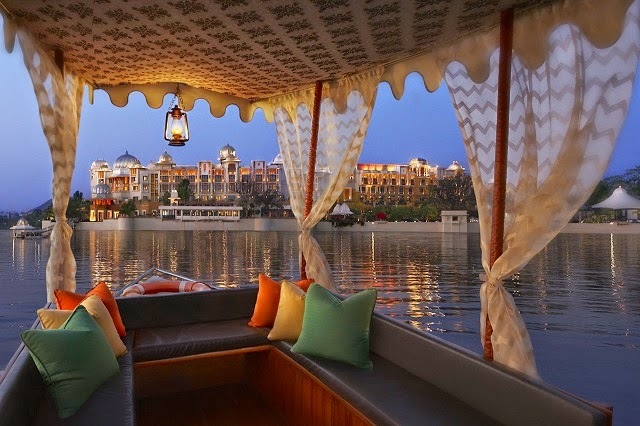 Situated on the banks of the beautiful Lake Pichola, the Leela Palace hotel in Udaipur is one fine example of the opulence of Mewar tradition. Facing the lofty Aravali mountains, the hotel is a regal indulgence incorporated with world class amenities. Detailing in the art and embellishment with an intricate craftsmanship of the Palace has been its true forte. 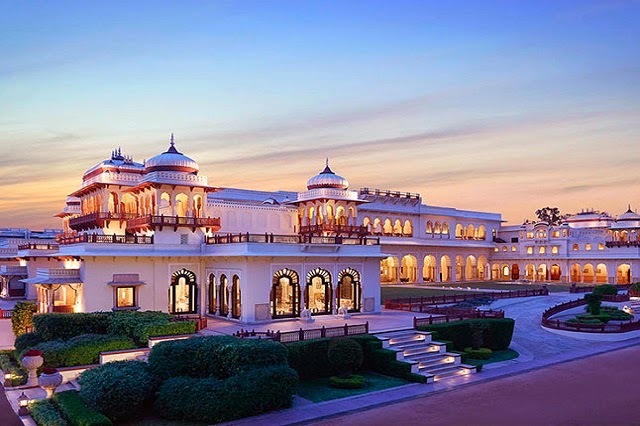 Former residence of the Maharaja of Jaipur and now a luxury hotel, the Taj Rambagh Palace is widely preferred by various high profile persons and celebrities from all over the world. The beautiful amalgamation of Rajput and Mughal architecture makes the Taj Rambagh Palace hotel a true masterpiece. With high end luxury options like the Grand Presidential Suites and the Grand Royal Suites in the Rambagh Palace, the splendor of royal India stays at its best. 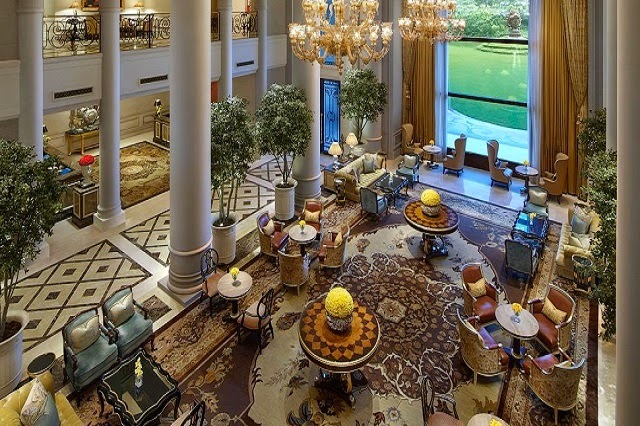 A flagship property of the Leela Palaces, Hotels and Resorts, the Leela Palace, New Delhi is one of the finest architectural structures in the capital city of Delhi. Situated in the posh area of Chanakyapuri, the architecture of Leela Palace is inspired by Lutyens, which is no less majestic than any other architectural marvel in the world. 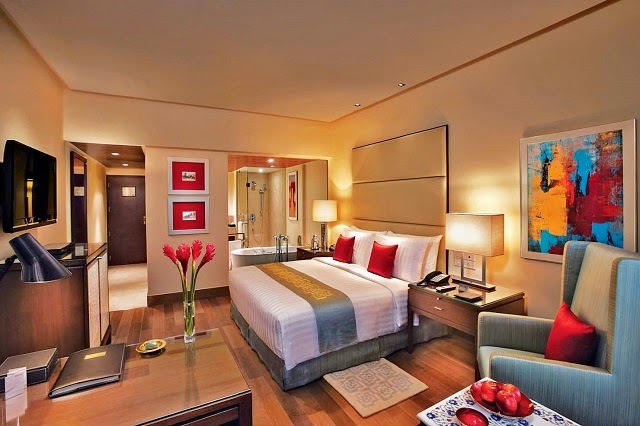 Apart from the design, the hotel boasts of its various luxury suites, which include the Presidential and Maharaja suite. Setting a unique trend of boutique hotels, the Escape Hotel &Spa in the city of Bangalore has always been the prime choice for business and leisure travelers. Designing of the luxurious hotel has been given much emphasis, which culminated in a perfect blend of privacy and sophistication of the suites. Apart from the luxurious accommodation, the hotel offers world class rejuvenating therapies under its spa treatment. Spread all along the Corbett National park, Aahana is an eco-friendly resort and is one of the new haven of wellness and luxury. The comfort and luxury of Aahana are a retreat from a day-long encounter in the wild of Corbett. 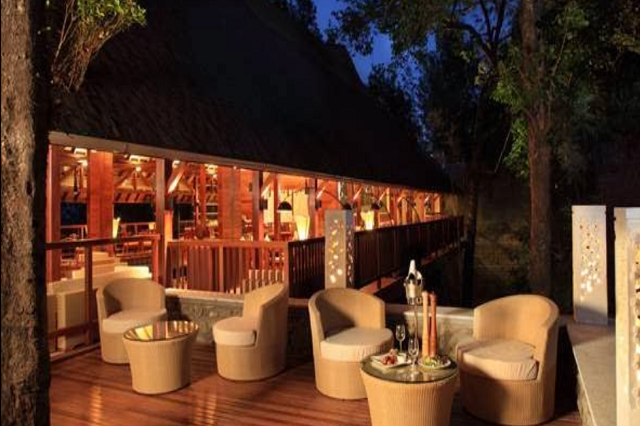 While at the resort, one can enjoy a nice meal with a captivating sight of wild elephants, Jackals and deer. 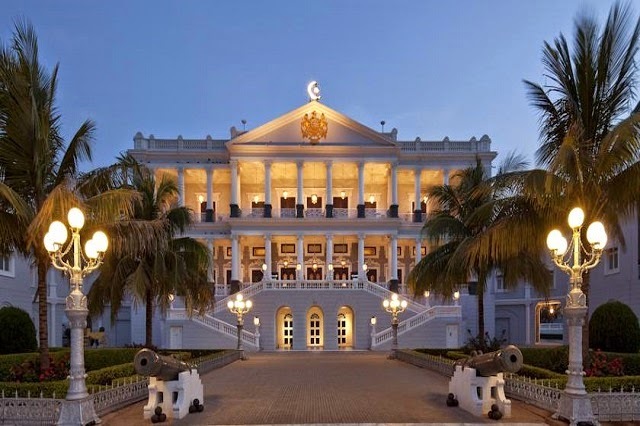 One of the finest architectural marvels in the state of Andhra Pradesh, Taj Falaknuma Palace is a rare blend of Italian and Tudor architecture. From the inside, the Palace boasts of lavishly decorated rooms, halls, paintings, statues, and manuscripts. Famed for its palm and eucalyptus trees, the Amanbagh resort is a lush green oasis within the state of Rajasthan. Besides the green surroundings of the resort, its architecture reflects the true elegance of the Maugham style. The lush green Amanbagh resort is surrounded by sandy plains which strike a magical contrast to the topography of the region. Owing to its amazing topography and nature’s proximity, Amanbagh Resort offers splendid excursions to explore the countryside. 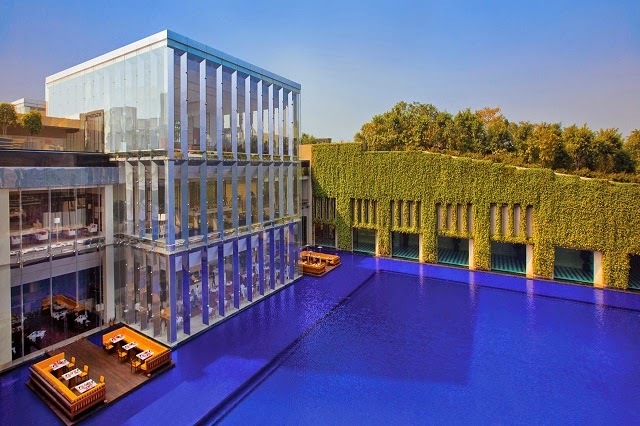 Creation of a Thai architect, Trident hotel in Gurgaon holds an amazing combination of Moroccan, Mughal and Rajasthani style in its design. Located in the fast paced city of Gurgaon, the hotel lies in the close vicinity of the prominent concrete attractions of Gurgaon. Availability of gardens, courtyards and reflection pools in the hotel premises gives it an ambience of a resort. Renowned as the Scotland of India, the district of Coorg is blessed with acres of lush green tea and coffee plantation, misty hills and orange groves and teak wood forests. The idea of settling amidst such a nature’s paradise is purely lively and amazing. 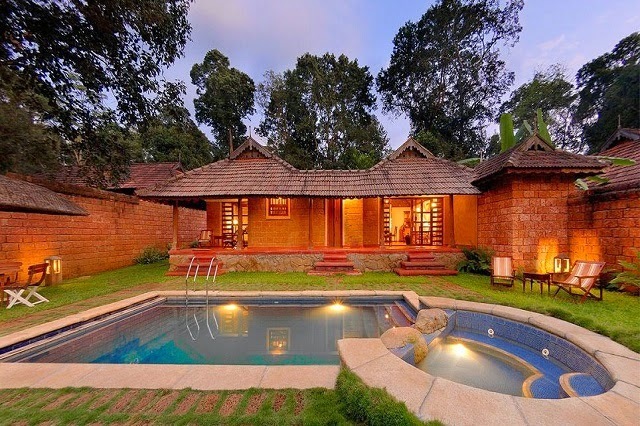 Making Coorg, the number one priority for tourists, is the 5-star property of Tamara located in the region. Located in a plantation estate, the hotel is one of the most beautiful places to visit in the state of Karnataka. Looking for a world class Rajasthani style accommodation in the city of Jaipur? 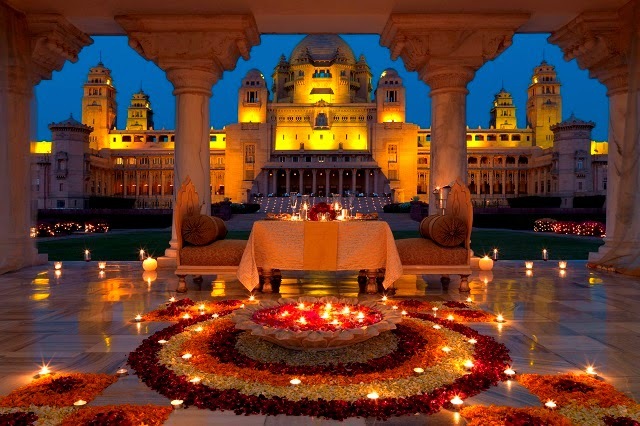 Well, one of the best run hotels in the city of Jaipur, the Ummaid Bhawan Palace is the answer. Being run by a family of Rathores, the palace is built in a traditional style with beautifully carved balconies, courtyards and antique furnishing. With such exotic Rajasthani ambience, the Ummaid Bhawan Palace is a perfect gateway filled with traditional Rajput hospitality. 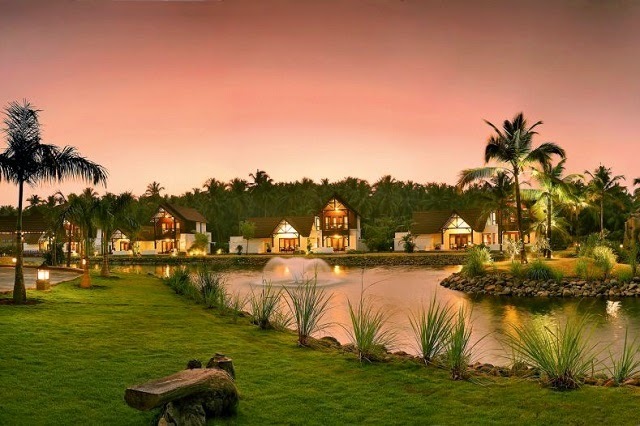 A serene heaven in God’s own country of Kerala, the Lalit Resort & Spa Bekal is surrounded by river Nombili on its sides. The exotic resort is located amidst landscaped gardens and is the ultimate spa destination in the region. Spread over a wide expanse, the tourists can rejuvenate by the ayurvedic healing and curative therapies being offered. Besides, unparalleled luxury flows through its numerous rooms, restaurant and bar, which makes the resort a true leisure gateway. 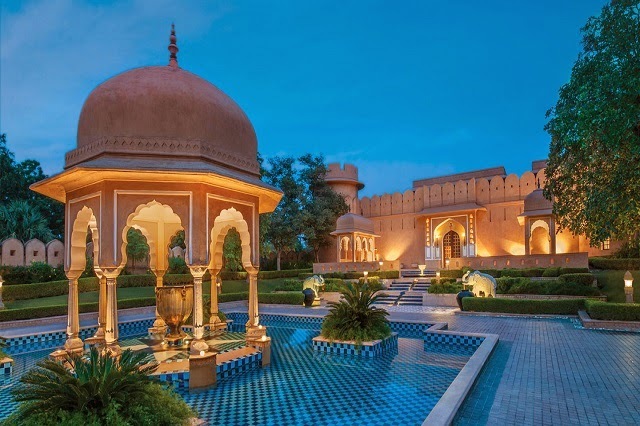 Built around the 18th century, the Oberoi Rajvilas is a royal resort, blessed with exotic surroundings in the state of Rajasthan. 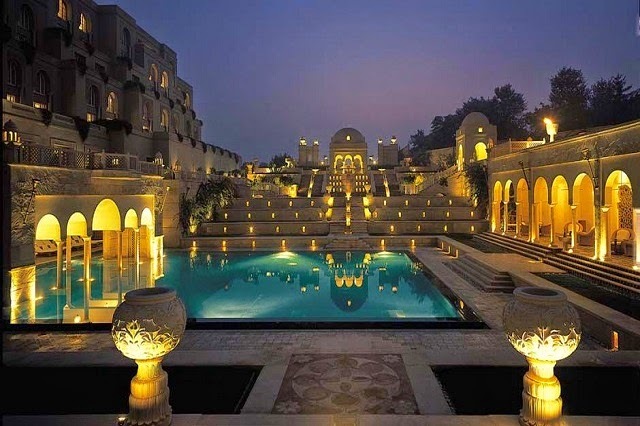 The royal and gracious lifestyle of the princes of the past can be relieved at the famed hotel of Oberoi Rajvilas. Elegant & harmonious surroundings with all the modern comfort amenities and the luxury of oriental therapies in the spa, make living here a tranquil and romantic affair. Situated close to the Bangalore international airport, the Movenpick Hotel & Spa is one of the favorite business class hotels around the city. Driven by a Swiss passion, the renowned hotel serves as a perfect destination for social gatherings and conferences. Along with the luxury rooms and suites, the hotel boasts of its award winning in-house Italian restaurant, Mezzaluna. It offers some of the best Italian cuisines. Apart from Italian delights, one can enjoy traditional Indian, Oriental, and European healing spa therapies. Within the close vicinity of the iconic Taj Mahal, the Oberoi Amarvilas is a fabulous grandeur which depicts Mughal architectural style. 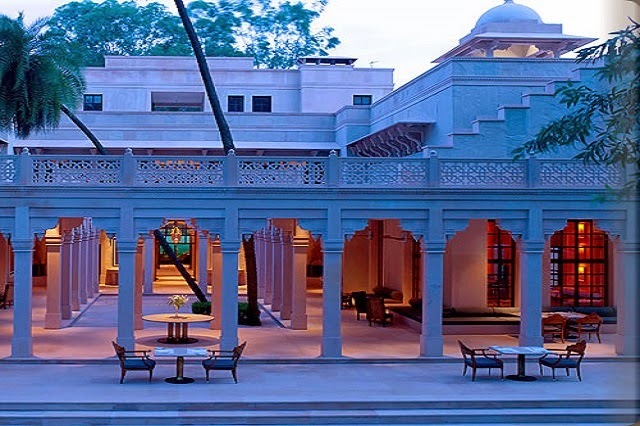 Complimenting the Taj Mahal, the Oberoi Amarvilas hotel boasts of traditional craftsmanship in its design. The positioning of some of the rooms and suites of the hotel is so apt that one can get an incredible view of the Taj Mahal directly from the balconies. Part of the Taj hotels, resorts and palaces, the Taj Mahal Palace hotel is a five star property located in the Colaba region of Maharashtra. 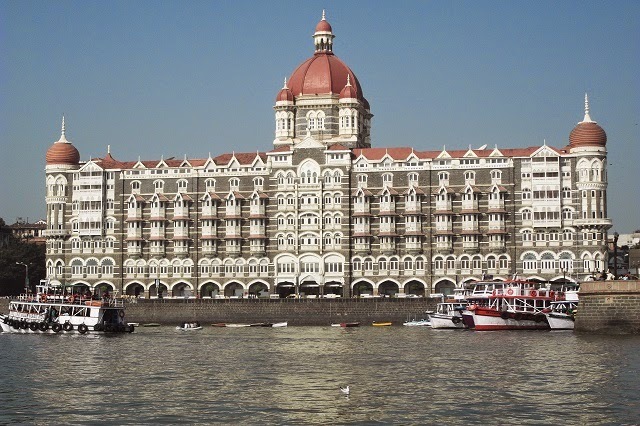 Having a great historical and architectural value, the hotel premises include the Taj Mahal Palace and the tower. These two structures were built in two different times and possess different architectural design. 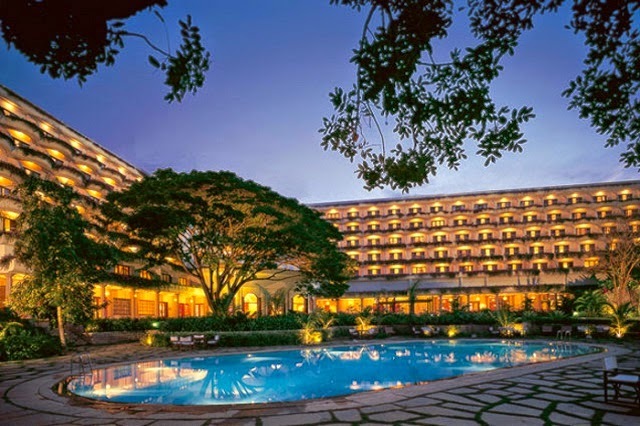 Situated in the prime location of Kolkata, Oberoi Grand is famed for its classic style and modern facilities. Constructed during the British era, the hotel is now owned by the Oberoi chain of hotels. The elegant hotel comprises colonadded verandahs, balconies and the highly luxurious presidential suites. 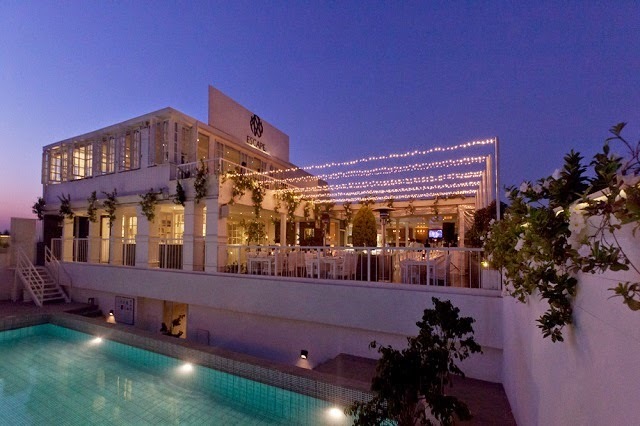 Apart from that, the hotel offers various dining delights, which are named as La Terrase, Baan Thai and Chowringhee bar. 7000 feet up in the Himalayas, the Oberoi Cecil hotel offers a luxury accommodation, which is blended in a grand heritage charm. 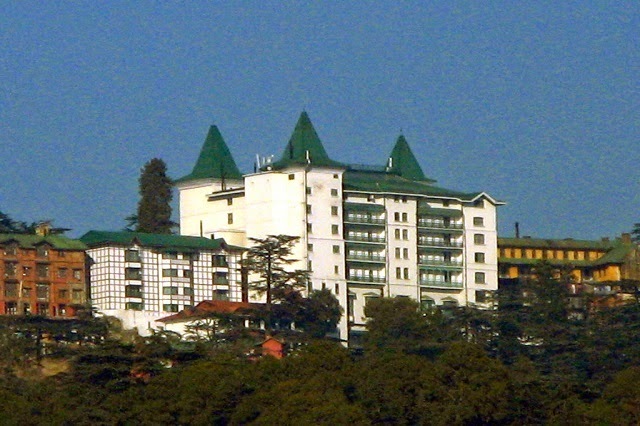 Just a 10 minute drive from Shimla, Oberoi Cecil is one of the most visited hotels in the whole of Shimla. The original grandeur of the hotel is still preserved in the form of wooden floors, crackling fires and a magnetic ambiance. Owing to the location of the hotel in the Himalayan valley, one can enjoy a beautiful view of the mountains while in their rooms. Located in the center of Bangalore, the Oberoi hotel proudly flaunts its exquisite gardens, along with a world class accommodation. This award winning hotel has an abundance of greenery, all thanks to the century old rain trees on the premises. Besides, fine cuisines and understated luxury of the hotel rooms and suites make the Oberoi, a highly opted destination of business travelers.